Larry on the Paul Gant Radio Show. Photos from the First Annual SF Culinary Clash… Thank you for your support! Larry visits with Cooking with Ryan Scott on KGO Radio to talk about the Clash. Larry calls into ESPN SportsCenter Tonight to talk football and charity! Larry on The Rise Guys on 95.7 The Game to about the First Annual SF Culinary Clash. 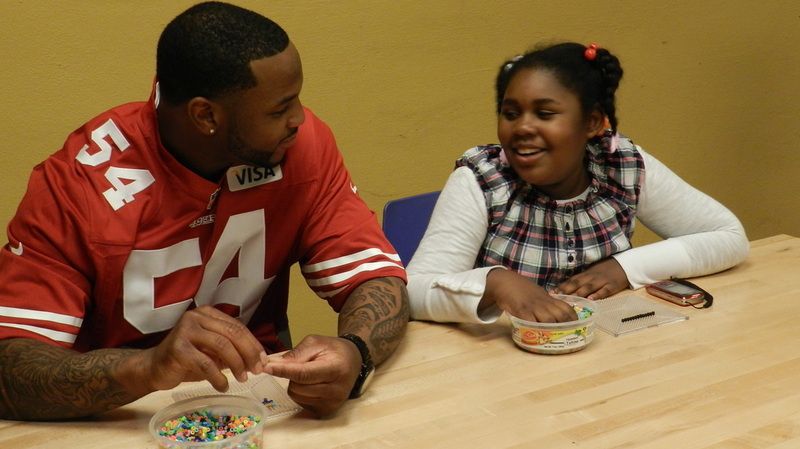 Larry cooks and hangs with kids at the Willie Mays Boys and Girls Club where he himself went growing up. On Monday, December 10th, at Berlinetta in San Francisco, NFL SF 49ers Larry Grant will be hosting a fundraiser, the First Annual Great SF Culinary Clash, for his A Better Hand Foundation. Celebrity Chefs Charlie Palmer and Michael Mina will be judges, and former SF Giants Rich Aurilia, Bachelor's Ben Flajnik and famed Vintner Dan Kosta are a few celebrity contestants.